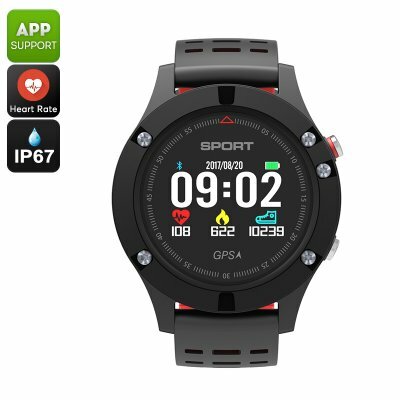 Successfully Added No.1 F5 Bluetooth Watch - Heart Rate, Pedometer, Thermometer, Barometer, Altimeter, IP67, APP (Red) to your Shopping Cart. The No. 1 F5 outdoor watch is your basic Bluetooth watch that comes with an abundance of fitness and outdoor features. With its thermometer in place, it will constantly keep you up to date about the temperature in your surroundings. It additionally comes with a barometer for measuring air pressure and your watch is furthermore capable of measuring your current altitude. With its IP67 waterproof design, this Bluetooth watch is able to work efficiently in any environment. It comes with a crisp 0.95-Inch OLED display and touch key design. Thanks to its 350mAh battery, this outdoor watch treats you to a standby time of a whopping 21 days. This Bluetooth outdoor watch can be synchronized with your iOS or Android smartphone. Once done so, it treats you to message, call, and social media notifications. The dedicated mobile App furthermore lets you easily keep track of your activity levels. With a pedometer, you can measure the number of steps you take every day. 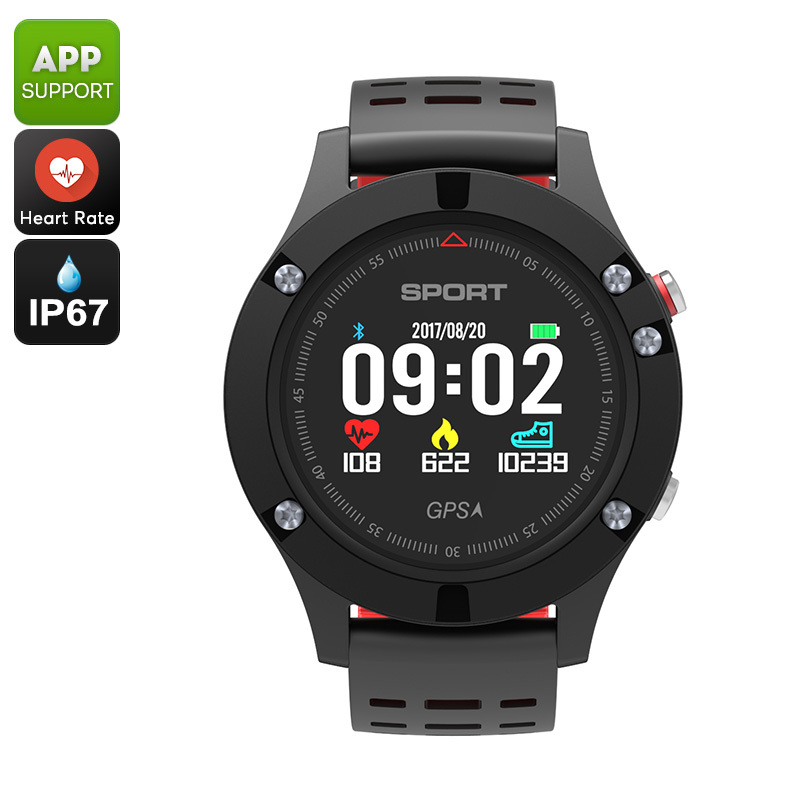 Additionally, a heart rate monitor lets you analyze your stamina and adjust your upcoming workout sessions accordingly. With a sedentary reminder in place, you can be assured that you’ll never miss out on your exercise again. The No. 1 F5 outdoor watch comes with a 12 months warranty, brought to you by the leader in electronic devices as well as wholesale Bluetooth watches..